I know we are less than a week out of Thanksgiving but I'm about to give you something comfortable that I know you are going to rock. 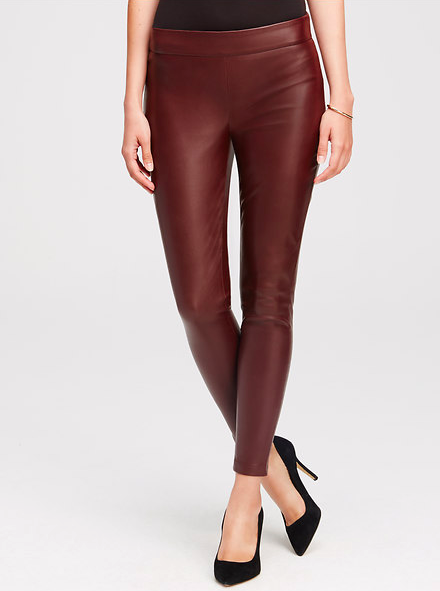 Leather leggings. Still with me? Ok, great. I promise, you are ready for this. Think about wearing them with heels and lengthening your legs, or pair it with a longer tunic sweater to cover your midsection. No matter how you style these pants you are going to look chic and stylish. Slimming in a beautiful crimson. Not omg holiday red, but rather, a wow you look fantastic merlot. Worth the investment ladies. Spanx will never steer you wrong. Didn't expect a slate gray, did you? I like this pair because of the mock fly. 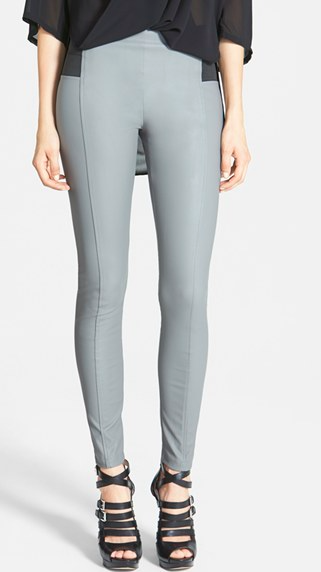 It gives the look of regular pants without the hassle. Are you still breathing? Can we do this? I think so. 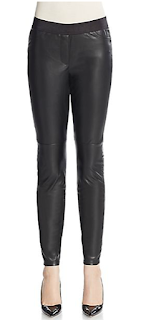 Try it with a shimmery sweater or a bigger statement necklace to really dress up the look.